This GoPro deal has all the accessories you need for a great price. Whether you're a mountain biker wanting to record your latest daring ride or a commuter cyclist looking for a way to hold motorists to account, this excellent Black Friday deal has you covered. 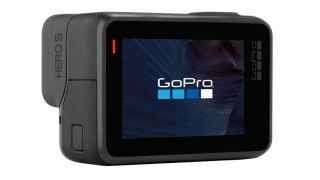 This Black Friday GoPro bundle deal has everything you need to capture all your adventures, but the main thing in the box is the HERO5 black camera, which records impressive 4K video, has a 2-inch touch display, and also handy features such as voice control for when your hands are engaged with more pressing matters. No doubt you will be using your GoPro to capture shaky action footage, so the HERO5 has built-in technology that helps to stabilise your video. It comes with a 16GB memory card, though if you get a GoPro Plus subscription the camera will automatically upload your video to the cloud, so it's always safe. No matter your action recording needs, this great Black Friday deal covers all bases and you can get it today for a special price of £249.99 instead of the usual £329. Save £79.01: This powerful camera records 4K video, has GPS, is waterproof and comes with all the kit you need for capturing high-quality action footage, and there's almost 25% off! If you like to share your exploits while you're on the go, the QuikStories features save you the fuss of trying to edit video from a forest or mountain peak – footage is sent to your phone and edited for you into something shareable. For your underwater adventures, the camera is waterproof to 10m. The great thing about this bundle is all the most useful accessories are included. There's the Shorty mini extension pole and tripod for when you want to do some more sedate filming, a rechargeable battery, flat and curved mounts, mounting buckle, USB-C cable and a Casey case to keep it all organised.